The scent of summer all year long! So simple and delicious that you will eat them in no time! Cook in steam basket and drain when they are still slightly harsh: they will finish their cooking in the oven. 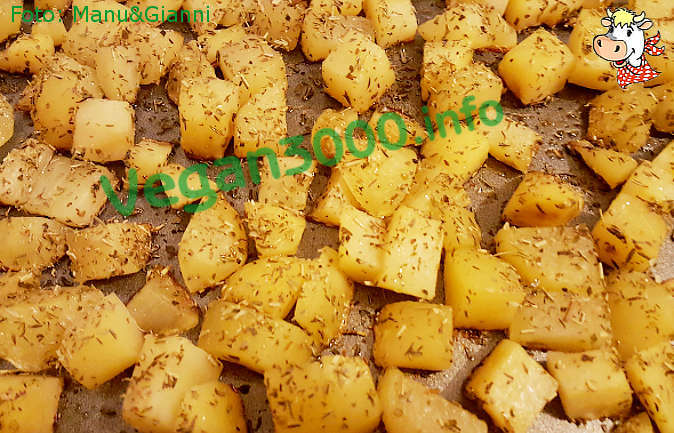 Grease with a little olive oil a large baking pan and place the potatoes, salt lightly on the surface and sprinkle with herbs de Provence. Stir well to mix all the ingredients, taking care not to unraven the potatoes. Sprinkle with a little olive oil and bake them in a preheated oven at 200° C for about 20 minutes until the desired browning.